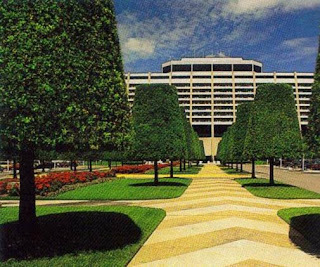 Last week, while taking a look at some of the gardens and designs from the past of Walt Disney World a friend of the Gazette mentioned the conical trees that were as essential to the Contemporary Resort as the murals of the Grand Canyon Concourse. 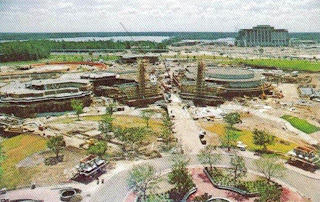 Today, we’ll view a couple of photographs that highlight the Contemporary and its landscaping. Picking up on a couple of elements from last week, this shot starts at the Magic Kingdom’s Hub, moves through Tomorrowland, and completes the composition with the Contemporary in the background. 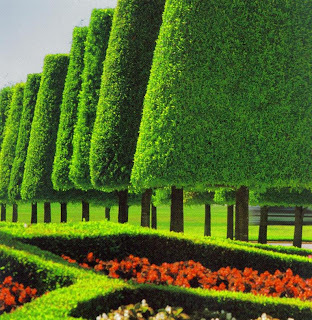 Moving on to the actual greenery, these conical trees remain true to the form follows function approach of the resort. The unique and familiar shape of these trees comes from the shearing of the laurel oaks. With the addition of the floral elements being underplanted this space uses minimal effort to create a complementary design. 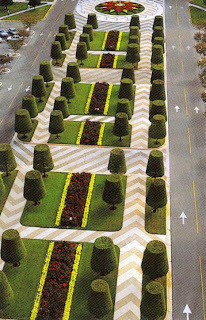 Though the trees and flowers relate a part of the Contemporary’s story, they are also fully functional, creating a pedestrian footpath and a barrier between the path and the roads. 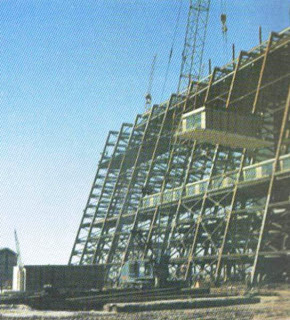 As a supplement, here are a few photographs from the construction of the Contemporary Resort. Thank you for the pictures of the trees. They were so beautiful and why they decided to do away with them is beyond me! BTW,we went over for the opening of the EPCOT Flower and Garden Festival yesterday and I posted some pics on my blog (we took over 200). 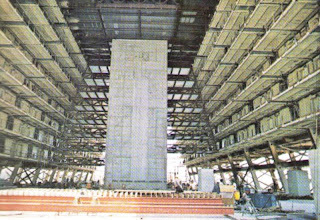 I don't think I have ever seen a photo of the workers putting the pre-fab hotel rooms into the Contemporary. Very cool!